Enterprise Resource Planning Software is a program that provides accountants with aid in entering and communicating financial dealings. Each and every ERP Solution provides their own core set of features and add-ons. As a user, your business or enterprise might get trial periods to check out all these core set of features and add-ons. Some vendors might even provide Cloud ERP in Dubai and/or the UAE, which would be accessible from anywhere in the world. 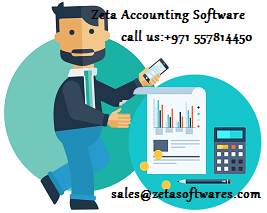 Nowadays, there are many different Accounting ERP Softwares in Dubai and/or the UAE. It is difficult to select the best Accounting ERP Software in Dubai and/or the UAE. The following is the list of thing you should check in your ERP Solution in Dubai and/or the UAE. History: While selecting your ERP softwar in Dubai, UAE, India, make sure to know about the businesses history. A basic analysis of their background should always be done. ERP Company Experience: Always analyze experience of the ERP support team. How are they helping in ERP software implementation in Dubai and/or the UAE? Ask for their past 15-20 projects that they have implemented. ERP Consultant Experience: Check and gauge the experience of their ERP consultant. Is the ERP consultant new or have they been with the company for a long time? Check how many successful ERP projects they have completed? References: See what type of companies have worked with them? What size of the businesses have they worked with? References are always important. Always be certain that they are real and not fake. Schedule and Time: Know who will work on your ERP solution? Will the ERP vendor provide specific names or will the consultant be changed mid way? Always ask for an ERP implementation schedule? Work Method: See if the ERP company and/or consultant stand by their core philosophy? Do they do Business Process Improvement (BPI)? Do they provide training relating to their ERP Software and/or ERP Solutions? Decision Criteria: Is there a list for making ERP Software implementation progress? Who uses this list? What do they look for in the list? The ERP accounting softwares should provide you with Cloud ERP integration in Dubai and/or the UAE. It should not be designed only for bookkeeping jobs, but should help in overall performance gains. ERP Solutions should help in bringing operating costs down. For example, SaaS should be an add-on that can be implemented later on when needed. This also reduces many hardware and software costs over time. SaaS provides flexibility in administration of operations anytime and anywhere. Access to financial data through mobiles and tablets should also be provided. ERP software is unique in that it is designed with modules providing your business an edge above many top accounting solutions in Dubai and/or the UAE. One should choose an ERP Software in UAE that provides overall financial coverage and not one that needs to be updated frequently.